Angela is a Certified Financial Planner TM professional. She has been working in the financial services industry since 1989 and became a Registered Representative in 2001. She is passionate about helping families. She educates her clients about how to use money wisely, is committed to becoming a better financial steward and teaching others these skills. She loves finding solutions to problems and helping clients identify and prioritize their financial goals. She recognizes the importance of keeping costs low when evaluating alternatives. 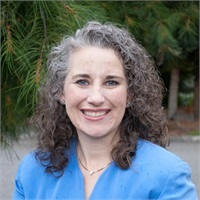 Mars Hill Church- Shoreline Campus - Leader of financial coaching ministry, and Children's ministry teacher (2003-2015).